Ken is a coach, facilitator, trainer and Performance Psychologist - combining skills, knowledge and experience from a wide range of backgrounds to create approaches and techniques that help individuals and teams greatly improve their performance. He is adept at designing and running training courses that meet specific business needs – leaning heavily on his experience as a sports psychologist as a key ingredient that ensures his work has a distinctly practical edge. 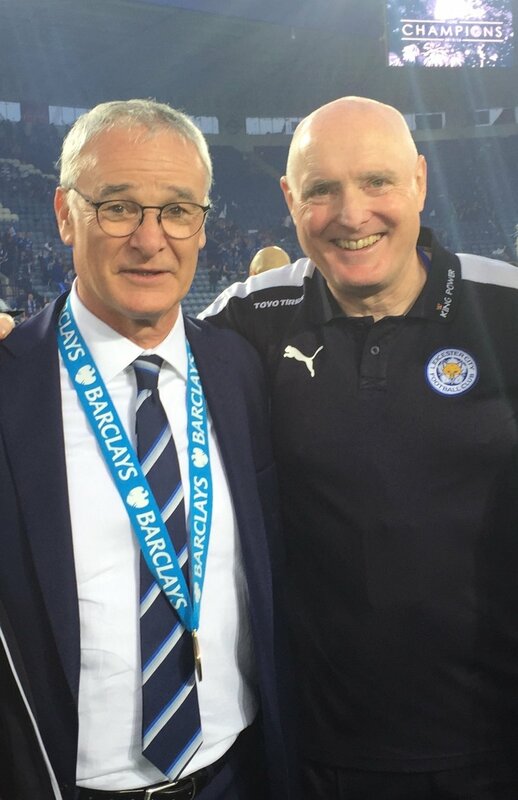 Ken’s sports clients include national and international champions – he was, for example the performance psychologist at Leicester City when the team won three titles (Division 1, the Championship, the Premier League). His approach to individuals and teams in a range of sports has been documented in his 2011 book, a 560-page tome entitled 'Mental Mastery'. 'Give & Take' by Prof Adam Grant. Interesting research on people described as ‘Givers and Takers’. The most successful people are Givers. Strangely they can also be the least successful. Wonder why that is…? You’ll have to read the book! Muhammad Ali, Alex Thomson (a round-the World yachtsman – and a client!) and my Dad! “No! Try not. Do or do not. There is no try.” Yoda – in Star Wars, the Empire strikes back. Celebrating with one of my clients, the Leicester City team, on the day they received the Premier League Trophy in May 2016. To Prague – a double-header: working with a business client and then talking to Czech Republic Olympic Coaches. Diary, notepad, iMac and a jug of green tea (that’s going cold). Kick a football with Sam, my 11-year old son; play squash; or pop down the pub with my wife and friends! David Attenborough; Mark Knopfler; Dr. Milton Erickson (who redefined the language and approach of hypnotherapy and in so doing opened up far deeper influences of verbal and non-verbal communication). Rhosneigr – a small coastal village on Anglesey, where my parents live.